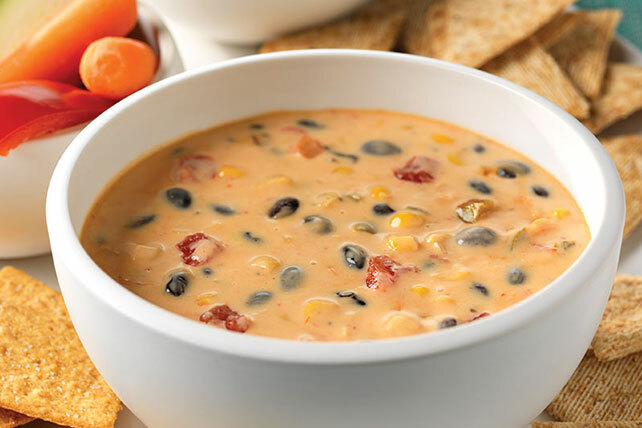 Be sure there's plenty of room around the table before you put out this Spicy Mexican Cheese Dip with Beans. Guests are sure to cluster near it! Serve with large thin wheat snack crackers and/or assorted cut-up fresh vegetables.